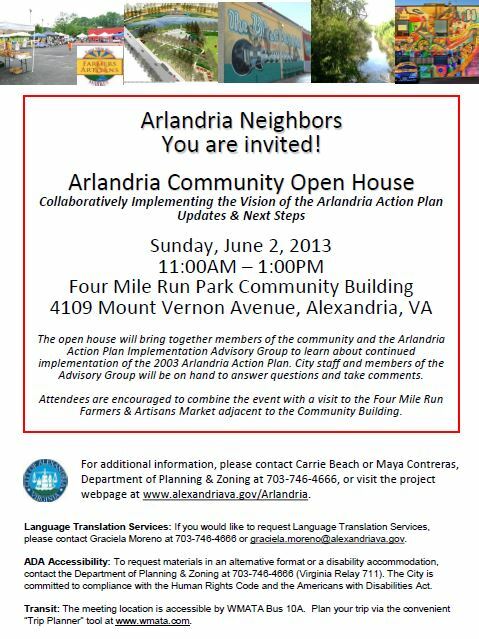 The purpose of the Community Open House is to bring together members of the Arlandria Action Plan Implementation Advisory Group and the larger community to learn about activities that further the implementation of the 2003 Arlandria Action Plan. City staff will provide updates on pedestrian and bicyclists improvements, area private development projects, economic development activities, the Four Mile Run Expansion Project, and the Four Mile Restoration Demonstration Project. 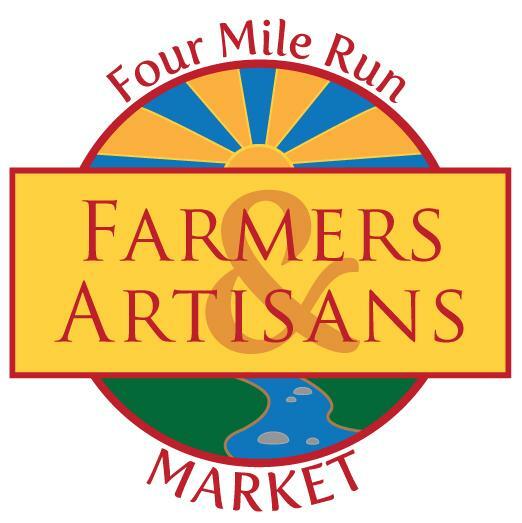 the Four Mile Run Farmers & Artisans Market; occurring on-site. Mike Elosh performs last August on the 4MRMarket Stage! "Cucumbers and summer squash will be available at all markets, as well as all the other Spring goodies. Berries are a bit limited, due to all the rain and heat, so come early for those." Also this Sunday, we welcome back 4MRMarket Stage veteran Mike Elosh to 4MRMarket this weekend from 11-noon! Mike Elosh is a roots and folk musician that you've probably heard during his monthly performances at St. Elmo's Coffee Pub. As always, the concert is free. Mike and all our performers are volunteering to share their music with market goers, though we will gladly welcome tips and friendly applause for our musicians! Please come out and support this Dylan-like folk rock singer/songwriter. Mike uses guitar, piano and harmonica to accompany his roots-based music. 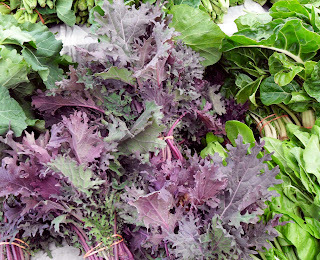 On top of the tasty new items from C&T Produce, you'll also find a great selection of meat, cheese, handmade soaps, health and beauty products, and more. Get your fresh and local groceries and enjoy Mike Elosh from the 4MRMarket Lounge! 4MRMarket has yet another local performer this weekend on the 4MRStage! Jong Lee is a guitarist and singer that covers popular tunes and lives only a few blocks from the market. He runs a local business called Jive Sound (like them on Facebook) that specializes in bass guitars and related music equipment. He'll play from around 10:30 to 11:30 or noon, so come check him out! If you haven't picked up something for Mother's Day, yet, why not pick up a few things at this Sunday's 4MRMarket for Mom? Shiny Soap and Fiber will be here with all of their hand made soaps and angora rabbit wool products. Not to mention all of the mom-friendly health and beauty products from Kalika Natural Beauty. Also back this weekend is Fluffed Up Desserts, the purveyors of mom-friendly gourmet marshmallow treats, smores, and macarons that anyone is sure to love for a sweet treat! 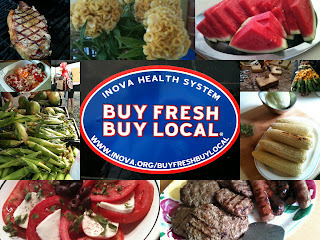 So come out and grab something high quality and locally made from one of our great producers! As always, pick up local produce from C&T Produce, pasture raised beef and pork from the nearby Shenandoah from Stifler Farms, artisan made cheese from Tom's Amish Cheese, and or a variety of other goodies! Shiny Soap and Fiber - (Hollywood, MD) - Crafty Shiny whips up hand made bathes of goats milk soap, hand milled soaps, herbal soaps, knitted items from Angora rabbit fur, and even soap dishes! Four Mile Road and Mt Vernon Avenue. On this past Wednesday, May 1st at approximately 9:15pm witnesses saw a tractor trailer belonging to Papa John's Pizza cutting through Arlandria's residential neighborhoods heading south/southwest on Elbert Avenue. On Thursday morning, residents found damage to a pedestrian signal pole and nearby tree at the end of Elbert, on the Northwest corner of Mt Vernon Avenue and Four Mile Road. The damage to the tree was so high up that it could only have been done by a vehicle of that size going in that direction from the local Papa Johns store at 4106 Mt Vernon Avenue. Papa Johns has been contacted about the incident but no comment was made available. Neighborhood residents often see pizza delivery vehicles on neighborhood residential streets despite a decade plus prohibition embedded in Papa John's 1999 Special Use Permit. The condition says that all deliveries should be made via Mt Vernon Avenue, a condition that is constantly violated as delivery vehicles cut-through to other neighborhoods. The pedestrian cross signal stood dangling and broken from its bolts throughout the weekend but was removed early Monday morning. The cross signal activator had only been repaired recently after having been non-functional throughout most of last year despite repeated requests for repair. The intersection of Four Mile Road and Mt Vernon Avenue has bee listed as one of the most dangerous for pedestrians throughout the City and was the scene of a crash that sent one pedestrian to the hospital last month while traffic and bus service was halted on Mt Vernon Avenue throughout the morning rush hour. City staff say that are evaluating pedestrian upgrades to the make the intersection safer but funding for the City's Complete Street program depends on the outcome of the City Council budget talks later tonight. 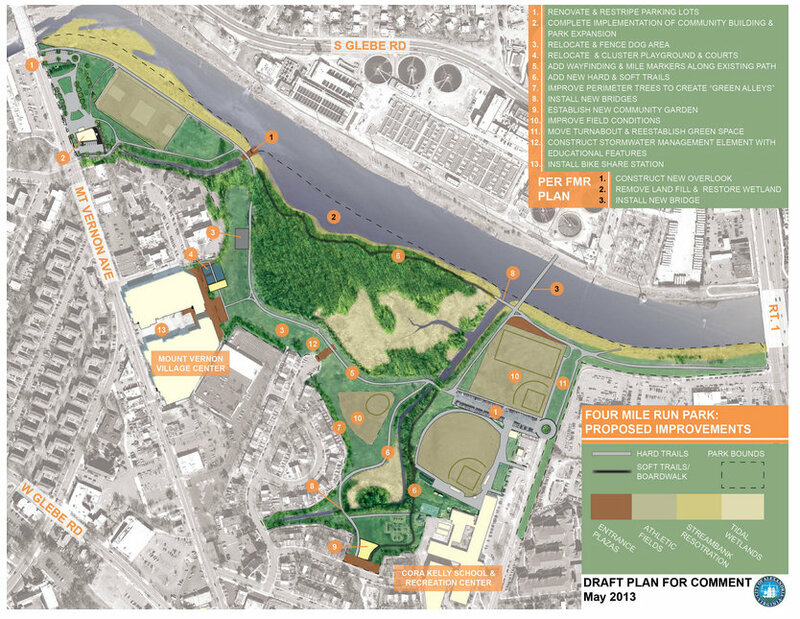 A pilot project has been instituted in the meantime in response to residents of Howell and Custis Avenues. The funding for that pilot program comes from developer contributions for the IDA building on East Glebe Road. Damage to the tree on Four Mile Road. Poor design of Alexandria's new standard bus shelters has been faulted in the repeated vandalism of the first of the stops introduced as part of multi-year effort. Yesterday, for the 4th or 5th time (frankly, we've lost count), since it was installed last year, vandals destroyed three of the glass panels that encompass the back of the new bus shelter on Mt Vernon Avenue at West Reed Avenue. The Arlandrian has documented (and reported to authorities) as this damage was repeatedly visited upon the bus stop. This latest incident, however, had thankfully resulted in the arrest of the individual (or indviduals).